Knox Makers is an organization that hosts a community “makerspace.” They moved in to the East Tennessee Technology Access Center in July of last year, and have been working on improving and expanding their resources since then, investing over $40,000 in their new space. Their space offers tools, equipment, and a meeting place for “makers,” the popular term for a community of creators, inventors, and tinkerers. On top of their workspace offering, Knox Makers works closely with local organizations to provide support and work on community projects. Since they’re based out of the East Tennessee Technology Access Center, they can work with ETTAC on projects like Toy Tech, where they modify toys to make them disability friendly. “There is one level of satisfaction that comes from building a project for yourself. There’s another level of satisfaction that comes from building a project that makes an impact on the life of another,“ says Laney. Knox Makers is having a grand opening at their new South Knoxville location on April 1, 11 a.m.-4 p.m. Mayor Rogero will be performing a metal ribbon cutting, according to a press release. The event is open to the public and will have demonstrations and displays of projects. What does Knox Makers offer the community? We think that Knox Makers offers the community a way to engage their innate creative urges. Whether they’re interested in learning to sew or work leather, to weld or make things out of wood, to get into 3D printing or hobby electronics, we have not only the tools and the space, but also a great community of people who are happy to guide you through the process of learning. Our classes and workshops provide unparalleled peer learning opportunities across a wide variety of interests. Whether people are interested in learning a new hobby, or are wanting to bring something new to their creative enterprises, we think that Knox Makers has something to offer. How do you think Knox Makers is positively affecting the Knoxville community? First, we think that Knox Makers provides a real creative outlet for lots of people in the Knoxville community. There are many technical and creative types who don’t otherwise have a “third place”—a spot other than home or work where they can socialize comfortably. We think that Knox Makers provides a welcoming and comfortable spot for these people, where they can get support, encouragement, and inspiration from those around them. Second, we think that through the partnerships that we’re working on developing with places like ETTAC, TechCo, and The Muse, we’re able to create opportunities to channel the interests of our membership into meaningful projects in the community. We’re hoping to develop more of these opportunities in the future. Third, we think that Knoxville has a future as being the city with the most productive and supportive maker economy in the country. We hope that Knox Makers can help support that vision by providing a place where technical and creative people can meaningfully interact, and inspire each other. We think that by providing tools, workspace, and training that people can act on that inspiration and pursue their dreams. How was Knox Makers started? 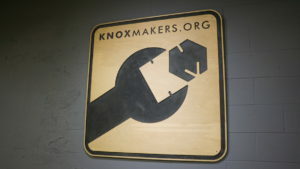 The genesis of Knox Makers was a 2011 Craigslist post pitching the idea of forming a hackerspace in Knoxville. Eight folks responded and a dinner at Cafe 4 was arranged to discuss the idea. A loose-knit group formed and began meeting at each others’ homes. After a few months of that, another local nonprofit, the Technology Cooperative, allowed us to use their facility periodically. After spending several months meeting at TechCo, a real sense of community started to develop, and action was taken to get a space that was “ours.” Our founding members each kicked in some money and a lease was signed for a 1,000-square-foot unit in the Tech 2020 incubator in Oak Ridge. Why move away from Oak Ridge? 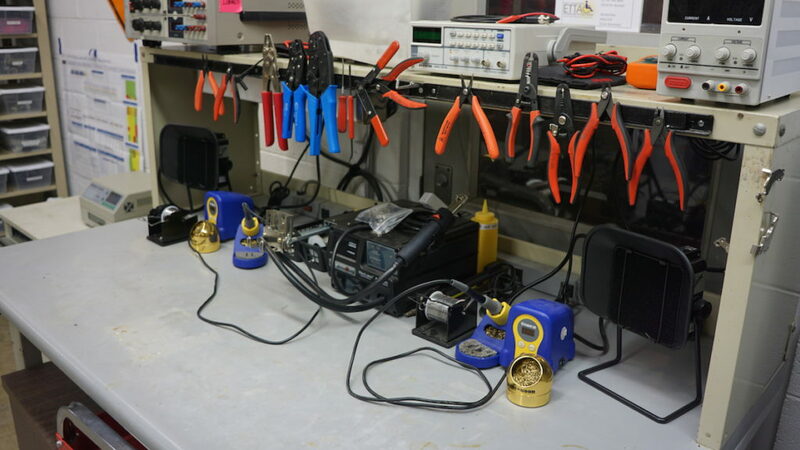 We outgrew the Tech 2020 space quickly; it simply wasn’t enough room for the tools and projects we wanted to accommodate. Most of our potential community was actually in Knoxville, and most of them told us they were unwilling to make the drive to Oak Ridge on a regular basis. These factors limited our growth and spurred us to look for a larger facility within Knoxville. That search went on for a few years before we finally found a home with ETTAC. How did you end up at the East Tennessee Technology Access Center? We looked at quite a few places. We even got close to signing some leases, and then something would scuttle the deal. Cost was often the limiting factor. ETTAC was really excited about finding ways to be a partner, rather than being solely a landlord. They do fantastic work bringing technology to the disabled community, and Knox Makers works to make technology more accessible to all. We are currently working to develop plans to have a hack-a-thon focused on solving technological problems in the disabled community. Ultimately, ETTAC has been a great partner organization. They’ve provided us with a great space that’s close to downtown, and given us a few opportunities to do good for the community around us. Why has it taken you so long to have a grand opening, nearly nine months after moving? When we originally moved into ETTAC, only one of the three downstairs bays was available—about 3,400 square feet. We leased it and spent months installing our equipment, bolstering the electrical service, installing air conditioning, etc. Just as we got it all set up and ready to go, they offered us a second bay. We couldn’t say no to all that extra space. But there was a lot of work to be done there too. We had to redesign the whole workshop, expand our electrical capacity again, rework the lighting, and install dust collection and air filtration systems. It was absolutely worth it though; the workshop has benefited tremendously from having all that room to work. Why do you think people join Knox Makers? Most people are initially attracted to gaining access to our tools, but they stay because of our community. We’ve worked really hard to develop a culture that promotes sharing. When you show up, it’s easy to see that folks in our community are willing to jump in and help someone or offer ideas or teach someone else. We have folks from all walks of life, with a huge diversity of knowledge and experience to share. How has your membership been affected by the move? Our membership and public Tuesday nights have grown by leaps and bounds since moving. The bigger space allows us to really expand the types of workspaces we can offer. Additionally, being in Knoxville made being a member of Knox Makers much more convenient. We lost a few members who live in Oak Ridge, which we regret, but we’re able to serve the larger community far more effectively in our new location. Seeing our membership and attendance increase has been greatly rewarding, and every new person who joins brings another set of skills to share with the community. 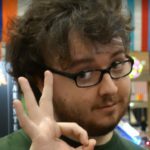 What projects does Knox Makers have going on right now? We’re getting ready to launch KillSwitch, our lightweight robot fighting league. This will consist of a few months of classes and workshops to teach people the skills necessary for combat robot building, followed by the actual competition. We’re in the early stages of working with the Muse to build micro-exhibits that they can display in their space. We’re looking forward to growing the Toy Tech program with ETTAC, as well as developing the hack-a-thon for disabled technologies. Internally, we’re working on implementing keycard access for our members and then tying that to tool authorization. 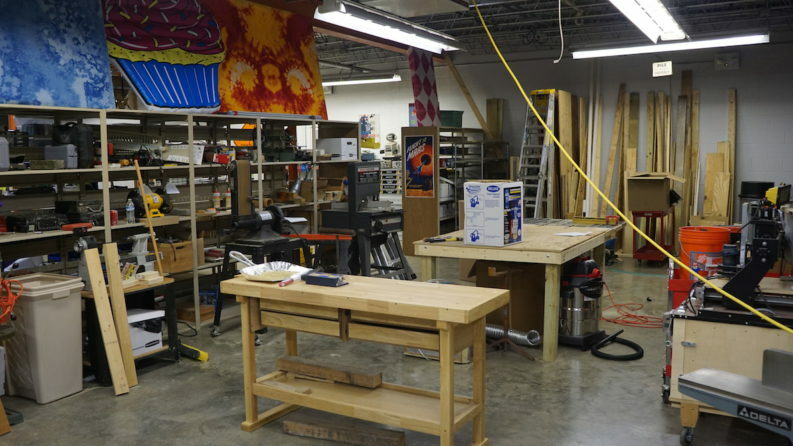 Knox Makers offers an area to tinker and create with community tools and resources. They host Open Hack Nights most Tuesdays, where they open their space up to non-members. Keyed workshop access for members. Donate tools, equipment, or materials to their space. Donate money on their website. See more Press Forward stories here. Josh is a sophomore at Pellissippi State Community College. He likes video games, movies, TV, and Knoxville! In his spare time, he returns to mentor his former high school robotics team at the L&N STEM Academy.